My birth name is Felicia. Felicia Marie Fenton. It's a fine name, but growing up in the sticks of Colorado, no one knew how to say it properly, (Falischia or Falickeea) so when I was a teenager I asked my friends to call me Felicity. 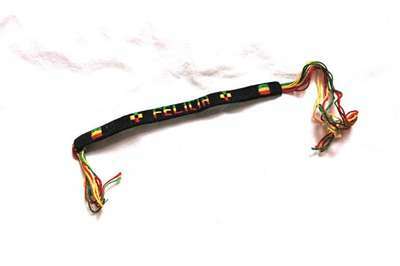 My mother gave me this bracelet after I had changed my name and said something like, "Felicia is your real name and you'll always be Felicia to me." I never mind when she or the rest of my family or childhood friends refer to me as Felicia, but she doesn't like that anyone calls me Felicity. It's a subtle battle we have had over the years, but one I'd like to end. I love you mom. Method of release - This bracelet was released by being turned into a rose and receiving family approval. i would have never know Felicia your magnificent no matter the title.